I of course used Olive and her personality and her super cute nursery as my inspiration as I was putting this together. Olive owns the mermaid print, slumbers every night in her white jenny lind crib, and is all aristocraty in her Silver Cross Pram. For rules and to enter yourself go here! Entry filed under: Baby Olive, Design, Fashion. 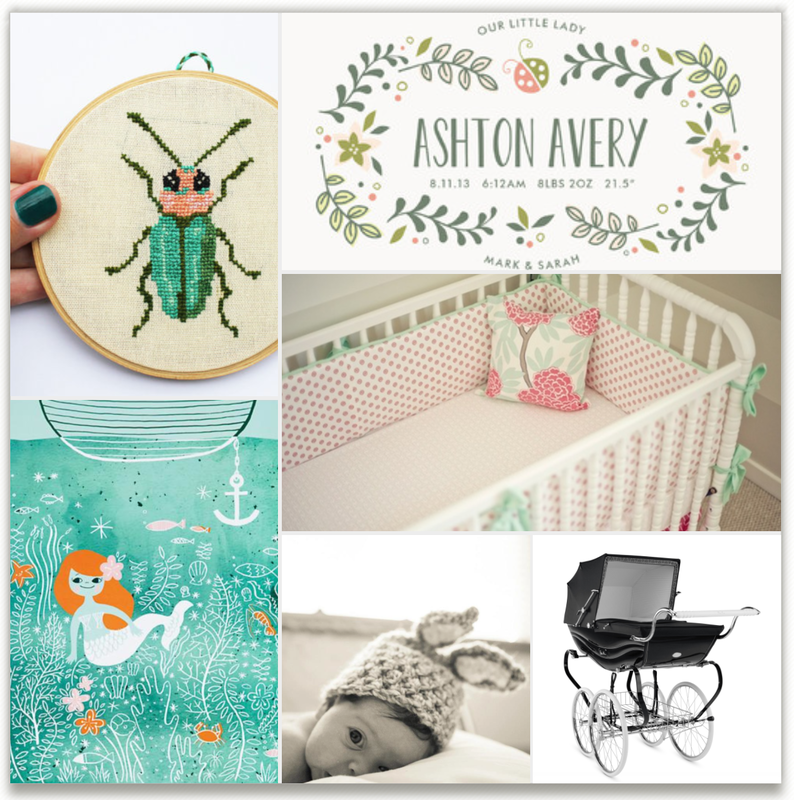 Tags: Birth Announcements, Minted, Mood Board Challenge, Olive Jane. I love these classic coach built prams, so much more stylish than the current modern prams that are out there.